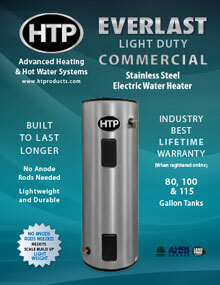 The Heavy Duty Commercial Electric Water Heater has been discontinued. 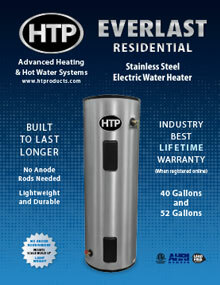 Documentation for this product including the product brochure, installation manual, and submittal are still available on our website. You can find this literature here. 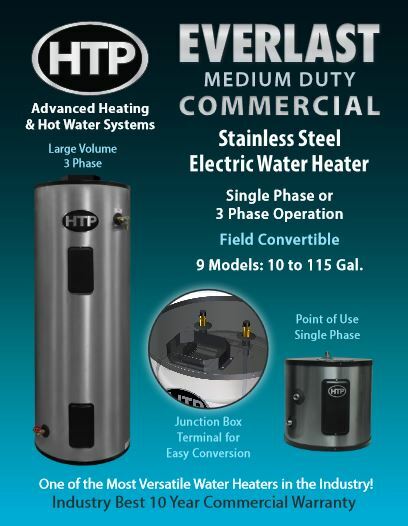 Discover our other electric water heating options below!